Desktop browsing without the “search page” feature? Unthinkable! On mobile, it is now also super simple to find the content you’re looking for on a website: Open the Focus menu, select “Find in page” and enter your search term. Firefox Focus will immediately highlight any mention of your keyword or phrase on the site, including the count of instances. You can then use the handy arrow buttons to jump between the instances. “Find in page” applies to all kinds of websites, no matter if they’re optimized for mobile browsing or not. Why are we pointing this out? Many users are still not completely comfortable browsing the web on their mobile devices because mobile, non-responsive versions of their favorite websites may not have the full range of features, are confusing or simply less appealing simplified versions of the desktop page, reduced to fit the smaller screen. 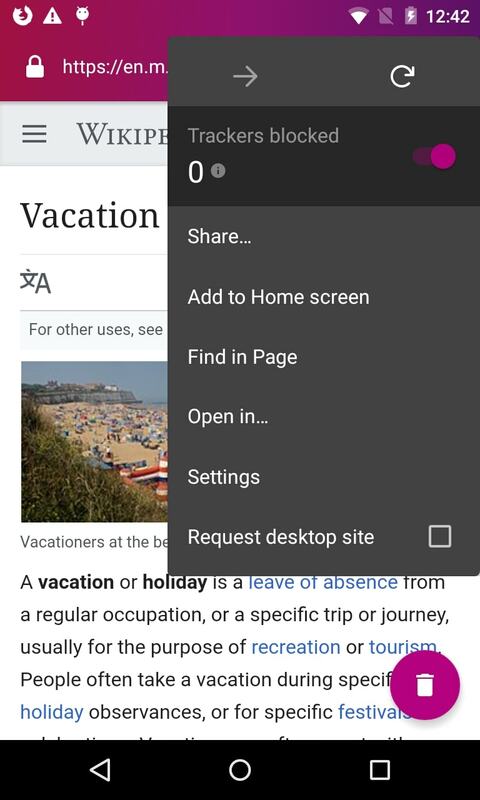 As of today, Firefox Focus enables users to display the desktop page in such cases. Simply choose “request desktop page” in the browser menu to browse the more familiar desktop version of your favorite website. 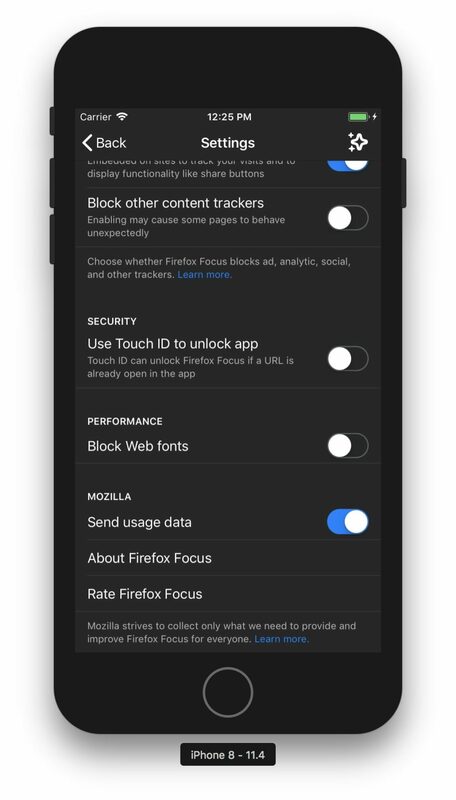 Our intent with Firefox Focus is to give users the most comfortable browsing experience — by making them feel safe and protected, enabling them to enjoy intuitive navigation as well as an appealing design. A great example for how we ensure that is our support and continuous improvement of Custom Tabs. When opening links from some third-party apps, such as Twitter or Yelp, and when Focus is set as default browser on the respective device, Firefox Focus will display the corresponding page in the familiar look and feel of the original app, including menu colors and options. Now you can share this experience even faster with your friends. Just long press the URL to copy it to the clipboard for sharing or pasting elsewhere. Currently, this feature is available only to Android users. iOS users will enjoy even more personalization with today’s version of Focus because they can now set Focus up to lock whenever it is backgrounded, and unlock only with a successful Face or Touch ID verification. This feature is common in banking apps, and provides another layer of security for browsing privacy by only allowing you, and no unauthorized user, to access your version of Focus. 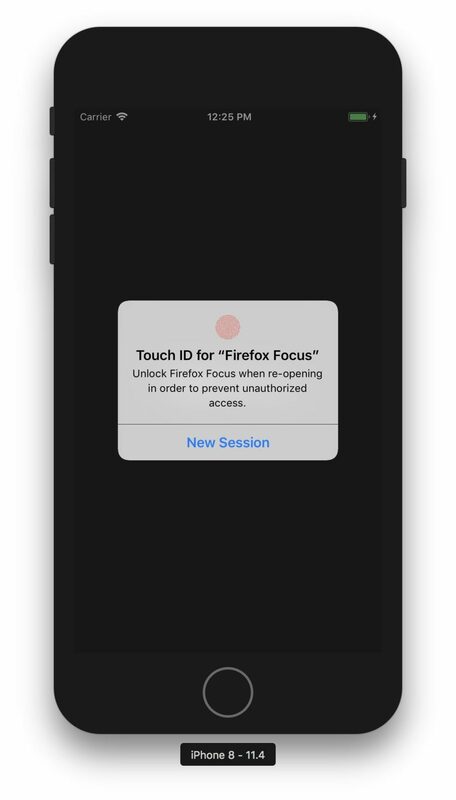 Unlock Firefox Focus via Touch or Face ID to add another layer of security to your private browsing experience. Recently, the BlackBerry KEY2 – manufactured by TCL Communication – was introduced, representing the most advanced Blackberry ever. Bringing Firefox’s features, functionality and choice to our users no matter how they browse is important to us. So we’re proud to announce that Firefox Focus is pre-installed as part of the Locker application found on the BlackBerry KEY2. This data protection application, integrated into the KEY2 user experience, can only be opened by fingerprint or password, which makes it the ideal solution for securely storing sensitive user data such as photos, documents and even apps — as well as the perfect place for Firefox Focus. The latest version of Firefox Focus for Android and iOS is now available for download on Google Play, in the App Store.